Saudi Pro League outfit Ohod Al Medina have announced the signing of Al Ahly winger Momen Zakaria on loan until the end of the season. Momen has recently extended his contract with the Red Devils until 2022, however, he has fallen down the pecking order, featuring just six times this season, scoring once. He revealed he wanted to leave the club following the arrival of Hussein El-Shahat and Ramadan Sobhi in the January transfer window, in search for more playing time. This marks Zakaria’s second stint in Saudi Arabia as the 30-year-old spent the second half of last season on loan at Al Ahli Jeddah, scoring six goals in 17 games and helping them finish second in the league. 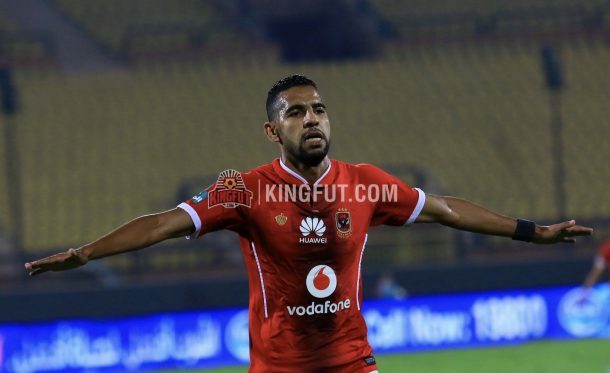 The Egypt international becomes the second Egyptian to join Ohod this window after Al Masry forward Ahmed Goma’a, who arrived also on a six-month loan deal. Ohod are currently bottom of the Saudi Pro League table with six points from 16 games, three less than 15th placed Ittihad Jeddah. Momen has been with the Reds since January 2015, after spells at Entag El-Harby, Al Masry, ENPPI, and Zamalek. He is a product of Al Ahly youth sector and has made over 130 appearances for them, scoring 39 goals while providing 20 assists. During his time at the club, he has won the league title three times, two Super Cup, and one Egypt Cup as well as reaching the CAF Champions League final twice. On the international level, Momen Zakaria has represented Egypt 12 times, and was part of the team that qualified for the 2018 World Cup, but his last appearance came against Greece in March 2017.